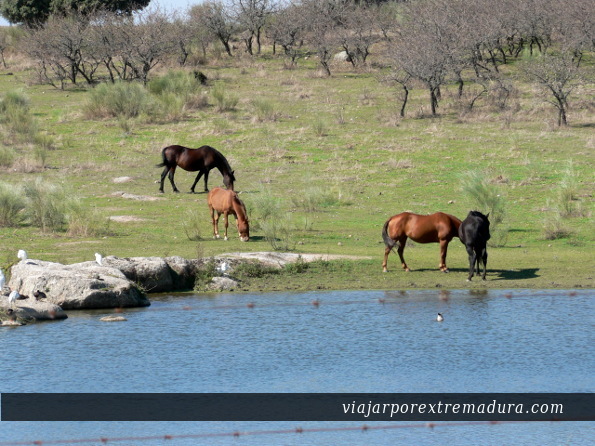 The Natural monument of Los Barruecos is composed of large granite stones on the edge of ponds. The Vostell Museum is located inside the park, in a 18th Century woolen washing place. 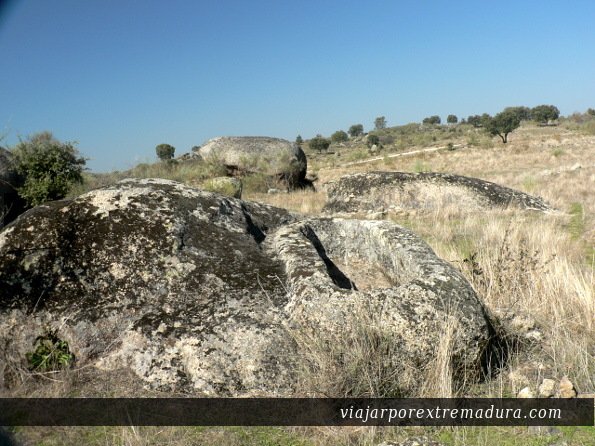 Besides in the surrounding area we may find old tombs, Roman edification remains, or the megalithic remains at Hijadilla are other interesting spots in los Barruecos. Los Barruecos was declared Natural Monument due to the nature richness it holds and because it is surrounded by spectacular landscapes. 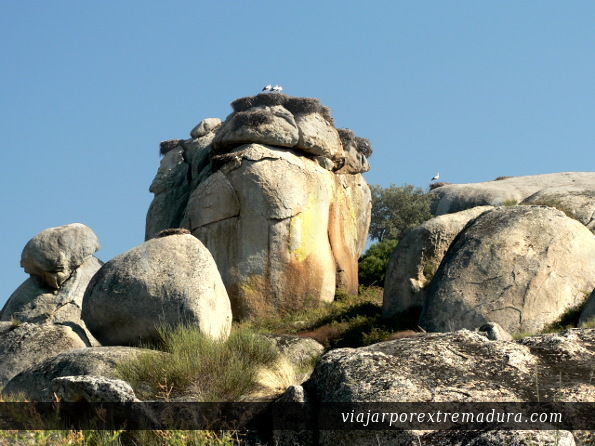 It is located right in the centre of the plains of Cáceres, an almost plain zone where great granite stones stand out. Around the pond live a wide variety of birds and animals such as ducks, herons, ornate hawk eagle, Montagu’s harrier, otter, newts, and of course storks and their nests built on top of rocks. The Barruecos is a special place where birdwatchers can enjoy the birds. Besides, tench is one the most common fish species in the area. The Vostell Museum was created by the german artist Wolf Vostell and it is placed in an old 18th Century woolen washing place. The museum houses the masterpieces of the Fluxus forerunner and his colleagues, as well as other modern art exhibitions. 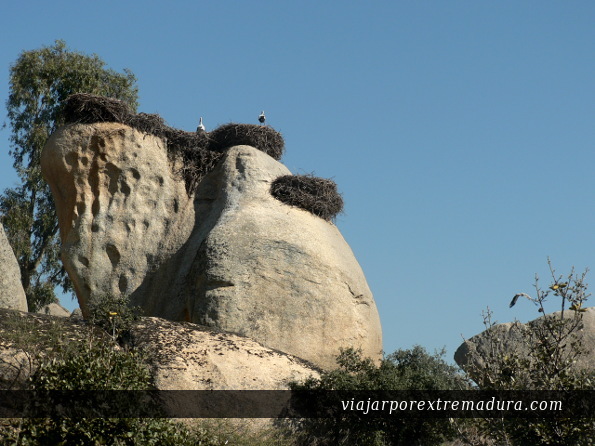 In the surrounding area there are sculptures that intermingle with the unique landscape of the barruecos and the large granite stones where a great amount of storks live. The mix between Art and Nature are one of the most charming aspects of this natural monument. The Barruecos granite areas are divided into rings or ensembles, the inner is known as G1. Around it there are the remains of an old Roman villa and antropomorphic tombs. Moreover, there are cave paintings on many rocks. Stone is the key word in this landscape, and all the people who have settled here have took advantage of it. 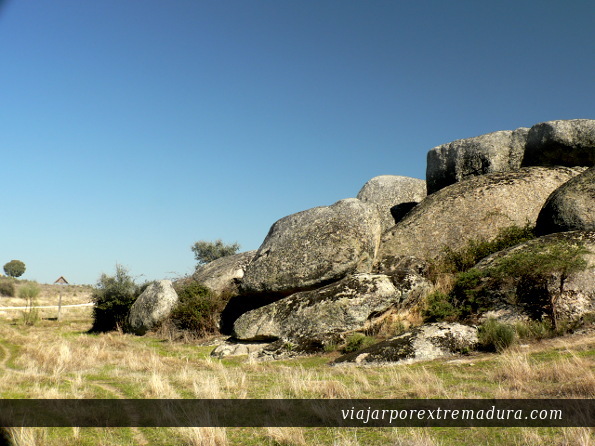 During the megalithic period people used large stones to build dolmens in the pastures of Hijadilla. To know better this monument it is recommended to visit the Barruecos with a guide who provide specialized information about the area.